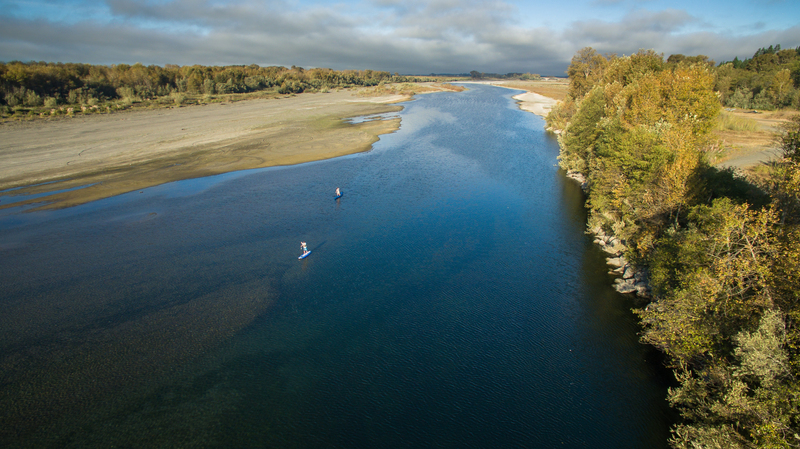 In September, when we featured Northern California’s Eel River and its historical importance as told in Shane Anderson’s wonderful documentary A River’s Last Chance , director Anderson said one of the important projects that was being worked on was clearing of tributary waters off the Eel that would allow more salmon and steelhead valuable fish passage space. For the first time in over a hundred years, winter steelhead and Chinook salmon can make their way up Woodman Creek, where they will find up to 14 miles of healthy spawning and rearing habitat. California Trout and several partners oversaw the restoration project that made it possible for fish to return to this high-priority area of the Eel River watershed. With winter rains now active in the region, these fish are finally able to take advantage of the work done to restore access to the creek. Woodman Creek feeds into the mainstem of the Eel River near Dos Rios. When a now-defunct North Coast Railroad Authority (NCRA) line was built more than 100 years ago, the migration pathway for salmon and steelhead into Woodman Creek was permanently blocked. Due to high levels of geologic activity in the area, a portion of a train tunnel collapsed into the river, making the site impassable for fish and trains alike.